I have been looking at the new Premier version of the 928 as I am running a standard 928 with the blanked off pilot circuit. I just cleaned out the pilot circuit today again. I have both of the tiny holes spraying carb cleaner through them quite well at the moment. Am I right in thinking that the new precision engineered idle circuit allow me to clean the carb without a strip down. They are not cheap, about £130, but anything for an easy life at my age. Anyone tried one ? Thanks. Re: Amal 928 Premier Concentric. I have twin Premiers on my Commando and work great. The pilot jet is removable for cleaning and you can also change it for smaller or larger jets to tune the carb. The tickler has a built in shroud so no more wet gloves. Well worth the money and I suggest you buy them from Burlen. Thanks Ellis, I am sold. Have you anymore details for the company you got it from. Many thanks. Alloy or iron head? I ask because on an alloy head with the downdraft angle of the manifold it's hard to get a good fuel height. Best I could get is 0.240" but they run better at 0.190" even with the new "stay up" adjustable float. Buy direct from Burlen. I shopped around and found Hitchcocks had the best price for a Premier. 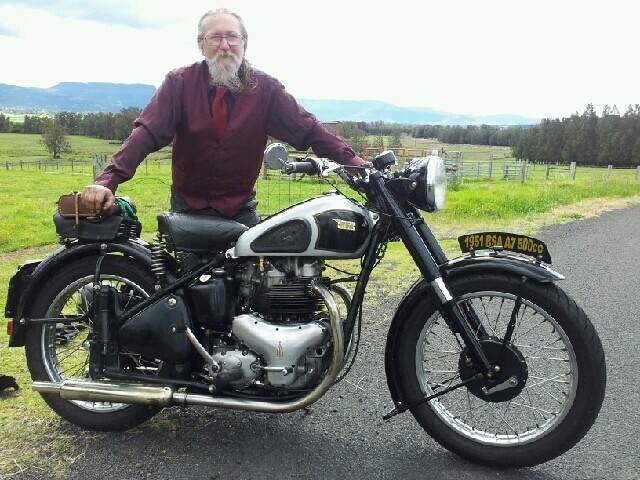 I bought from from Burlen, 1951 star twin. Suits the bike perfectly. Hi Steve, any chance you have a note of the carb specs? I spoke with one of the Hitchcock family today. I explained that my primary gets blocked after standing causing the bike to not idle and cut out. His view is that the Premier is a better carb, but won't stop the modern fuel congealing in the primary circuit. Basically he didn't want to sell me a new carb as he said that I will have the same issues. Even draining the carb will not stop these issues as the residue will sit in the circuit ? I now have an open mind and wondered if there was something I can add to the fuel to prevent this. ? When coming back from a ride I turn the tank off about 1/4 mile before I get home and let the engine run until it's out of fuel. Nothing left then to cause misery. Something I learnt to do 40 odd years ago when I could never start our chainsaws after a few months layup. It was the petrol evaporating and leaving the oil behind - which in turn solidified. Stopped using 2str oil and used straight 30 instead - and always ran them dry before putting away. '49 B31, '49 M21, '53 DOT, '58 Flash, '00 Firestorm, Weslake sprint bike. Run the carb dry ( starve the engine ) and no more gumed up jets. Page created in 0.267 seconds with 20 queries.